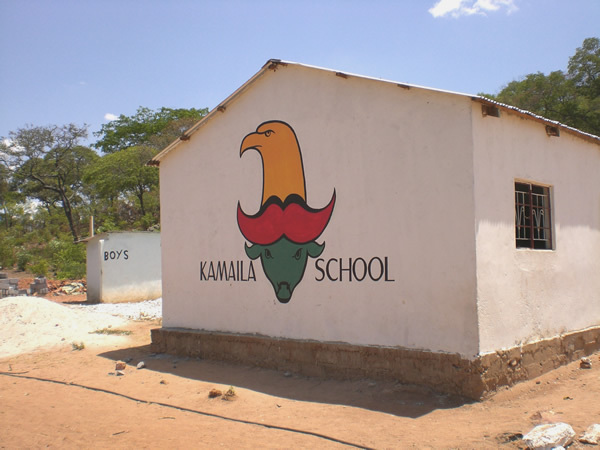 Kamaila Village & School, 50km from Lusaka. Over 4000 people now have safe water close to their home. The water committee ensures that the water keeps running. 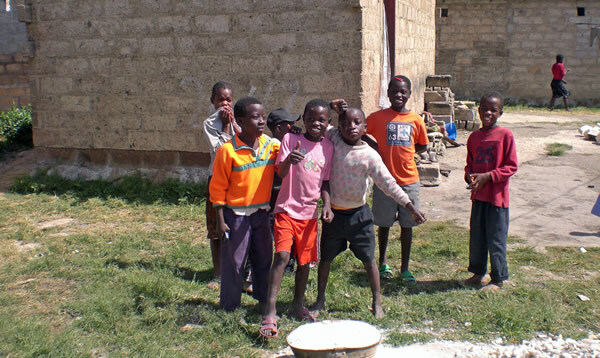 A number of families have durable latrines and hand washing facilities. At the school 787 kids now have a reliable supply of safe water at their school and their teachers and families living nearby have a standpipe close to their home. 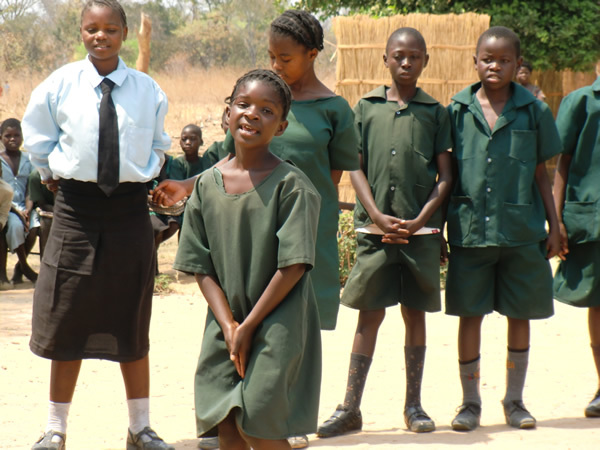 The school has latrines and a washroom for girls, this means that girls do not miss school when they have their periods. We installed a borehole, a water tower, solar powered pump and distributed water to standpipes within 250m of each home. WFK also set up and trained a water committee. Sanplats were provided to families to build latrines. 70 wash stands were distributed. This project was managed by our partners The Zambia Institute of Environmental Heath. 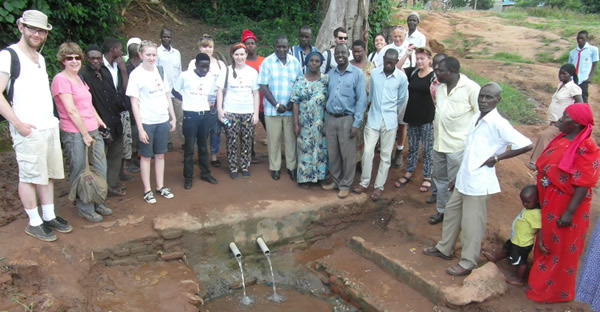 In partnership with Daventry Friends of Iganga, Water for Kids with the help of volunteers and the local people carried out work in Iganga, Eastern Uganda to improve the local Health Centre and School, and to protect 3 existing water supplies that were subject to contamination. On subsequent visits the group also helped to refurbish a clinic and a Centre for the Blind. They were also able to assist in the completion of two rural water sources, the repair of three protected springs and two water pumps as well as carrying out further improvements to the Health Centre, Orphanage and Centre for the Blind. Fumbelo, peri-urban area on edge of Lusaka. Over 15,000 people now have access to safe water. Previously they used contaminated water from shallow wells or walked 2km for safe water. We drilled a borehole and built a water tower and kiosk where people can collect water for a minimal fee. 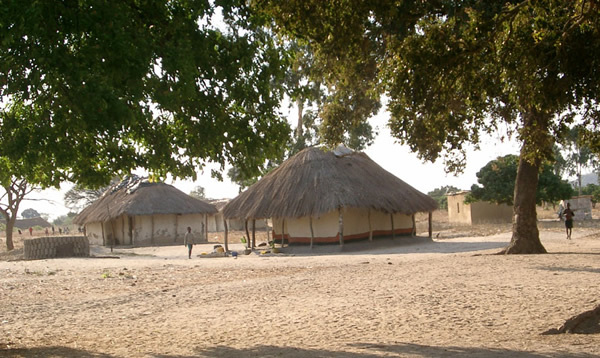 Chipapa, a rural area 35km from Lusaka. Over 7,000 people and a clinic, school and market now have access to safe water. Wash-hand basins are in the clinic rooms and women giving birth have access to a WC and shower. 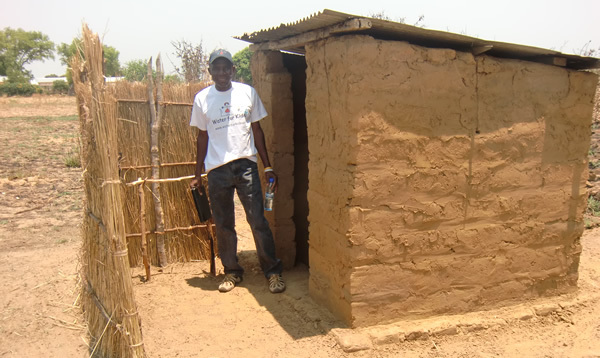 150 families have durable latrines. 270 school kids have safe water and wash stands. We refurbished and lined two boreholes, built a water tower and distributed water to a clinic, a school, a market and 7 villages. 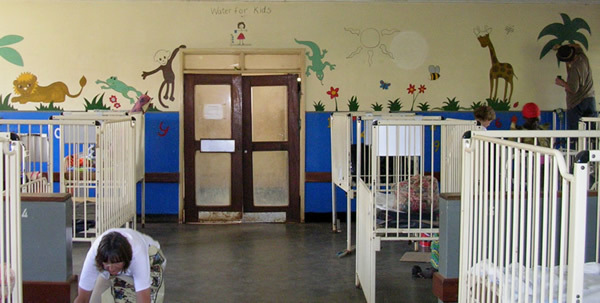 Provided wash basins in the clinic and a shower and WC in its maternity room. Distributed sanplats to 150 families for latrines and built wash stands at the school. Health education training for the water committee and school kids. The 2008 Field Trip in collaboration with Daventry Friends of Iganga (DFoI) and the local District Health Services, provided safe water for the first time to three rural communities. 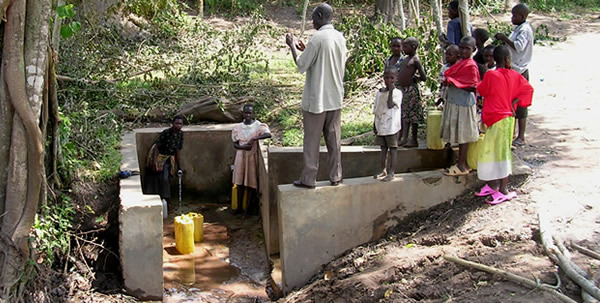 Highlights were protecting a village spring serving a large village of up to 1000 people, including many children, 20km south of Iganga and helping work on a new health centre for a large village comprising up to 8,000 people. On the 2009 Field Trip four more water sources were protected to provide safe water to communities, one of which has a population of approximately 2000. We also started a new Water Harvesting project at Naigobya Water and completed the Namunsaala Clinic Water Harvesting Project and fitted basins to wards and improved the lab at Iganga Muslim Clinic. We also tried out new water sampling kits. Madimba, peri-urban area on edge of Lusaka. About 7,000 people and a school now have access to safe water. Previously they used contaminated water from shallow wells. Public toilets are available to all. We drilled a borehole and built a water tower and kiosk where people can collect water for a minimal fee. Provided a standpipe at the school. Built 2 composting toilets. 6,400 people now have access to safe water and 100 families have durable latrines. We constructed 2 protected shallow wells and refurbished 5 protected wells. Distributed sanplats to 100 families for latrines. 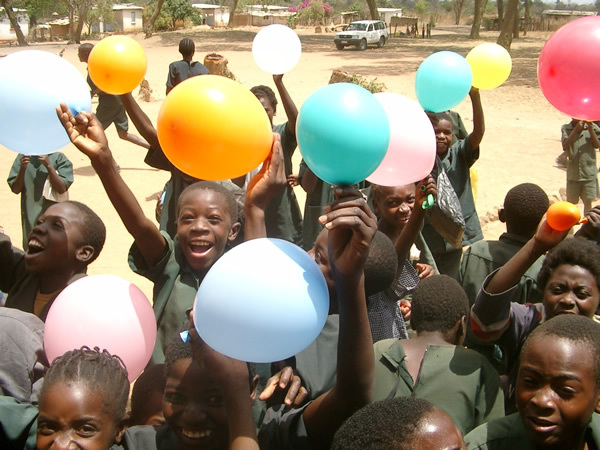 Water for Kids has worked with two NGOs in Sierra Leone. 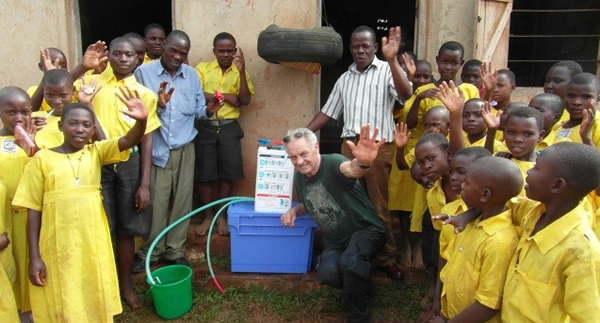 Firstly WfK contributed £4,000 for a project run by the Makeni Support Trust in 2010 It involved providing safe water to three establishments in the town of Makeni, Sierra Leone. They are St Joseph's School for the Deaf, Holy Spirit Hospital and The University of Makeni. They had no water supply for up to six months of the year, as a result of damage during the war. 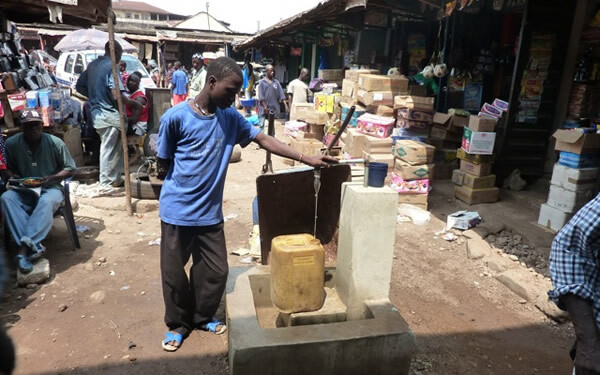 Secondly in 20010/12 WfK contributed to the installation of a water tank and latrines in two large and busy markets in Bo, the second city of Sierra Leone. The water is used not only by the market traders and their families, but also by hundreds of families living nearby. The work was carried out by One World Link and also funded by the Rotary Clubs of Southam 2000, Royal Leamington Spa and Kenilworth. The majority of families now have access to safe water. All 387 families now have a latrine, only 67 had a latrine in 2011. 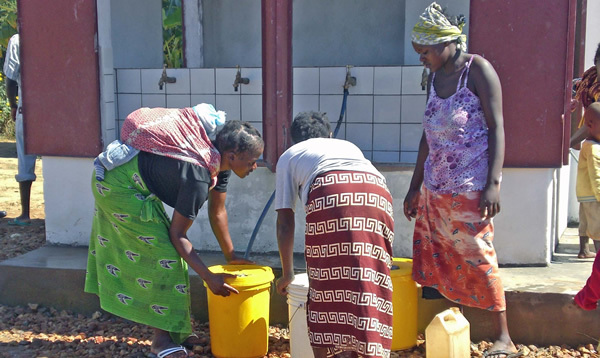 291 families have tip-taps for hand-washing, there were only 5 in 2011. 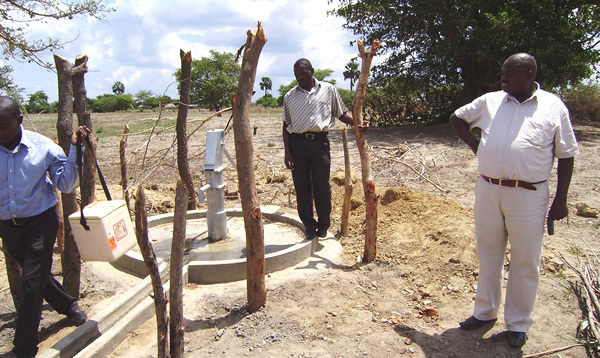 We refurbished two boreholes and trained a water committee and a pump-minder for each. Trained 30 Community Hygiene Promoters and the School Health Club which led to households constructing latrines, tip-taps (for hand washing) and refuse pits. This project was managed by Kaira Gunda of Kaoma Environmental Restoration Initiative. In 2013 a safe water supply, four latrines and ten wash stands were built for 400 pupils at the Karongi Primary School. The project was run by Help a Rwandan Person (HARP) and the Kigali Health Institute. In addition to the Water for Kids grant of £1,000, parents of the school children raised money to repair the school roof. Completion of the new Mutukula Market Toilet block for £5,500 in Iganga, handed over to the local community at a wonderful ceremony on 1st July 2013. Provision is of 3 toilets for females and one toilet plus a urinal for males. This will provide an excellent facility in the new market being developed by the community to include over 1000 traders. 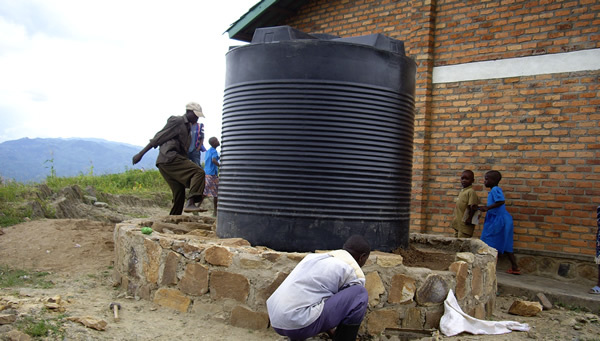 Rain water harvesting (RWH) was also provided with 2 x 5000 litre water tanks installed at Naitandu village in Iganga, to provide rain water harvesting for the primary school with nearly 400 children. Also a failed and unused RWH system found at Wagodo Primary School was refurbished with new guttering, the inside of the tank was cleaned and pipework repairs to provide water for a primary school with over 300 children with previously no clean water available at the school. Over 400 people now have access to safe water. The water point is protected and kept clean and will be repaired promptly if it breaks down. 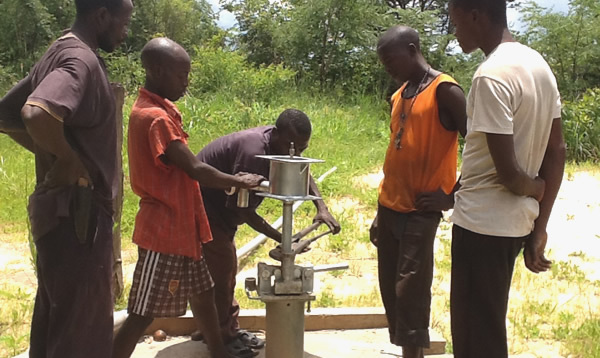 We refurbished a borehole installed a new pump and trained a water committee, and a pump-mender and provided a toolkit. 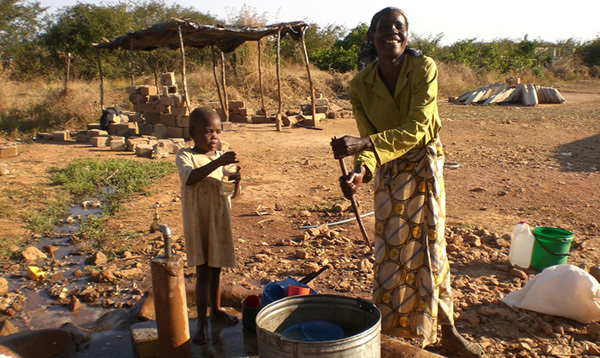 We provided safe water for the first time to the Bunjama community and funding for the water connection to Abato Primary School (500 children, 40% of whom are orphans). In March 2014 Peter Minhinnett, Jason Cox & Tom Jackson WfK Trustees visited Makuutu and approved the project. The team immediately started a full WASHE on what was now the Stephen Young Memorial Project (SYMP). At Busanda, Luuka District, we officially handed over the new borehole funded through WfK by Pat Miller in memory of her husband Jim Miller. The local community no longer need to walk the 2km round trip to a neighbouring source. Now, 750 school children have more time for school work, more parents support the school and domestic problems improve as mothers spend less time collecting water. We also assisted with building new latrines as the school was under threat of closure for not having adequate sanitation.